You will be able to pre-run the start from 10-11 am on Saturday morning. · Pee Wee Race will be held Friday Evening @ 6:00 pm. Cost is $20. 100% Trophies. · The Pros will be there to ride with the kids and a table will be set up for autograph signing. 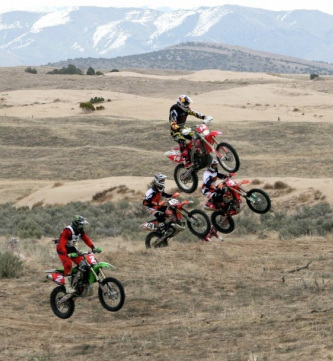 · The SageRiders and Bonneville Off Road is teaming up to make this event a dual point event. When you sign up state whether you want Bonneville Off Road Points or USRA points or Both. You will also have to sign up with AMA for AMA points. · There will be no additional cost for Bonneville Off Road membership at this event but points will be earned. 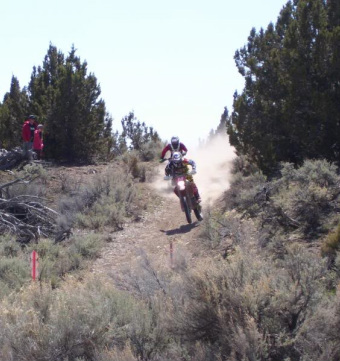 · The 4 wheelers and Side x Sides will run the first loop twice. Most of the loop will be in or around the little Sahara sand dunes. They will not go on the second loop as it is more single track and we want to maintain the single track as much as possible. · This is the first time our club has put on a side x side event. We hope to make it enjoyable for the side x side group and ask for feedback on this event. If the event is a success, more events can be planned around this group. · Next SageRiders event will be on October 29th in Indianola.